The volunteers should be the borough council since they are the ones that started this no profit building!! Waste of more money! They have paid employees in house. Let them work the counter on weekends. Ask the 22,000 people that visited the building and signed the registry last year if it was a waste of money. Even though there is some questionable borough spending, this is one bright spot for the borough. This building will make money down the road when the bar and restaurant go in! This is some ones pipe dream for money.But the tax payers will get nothing! 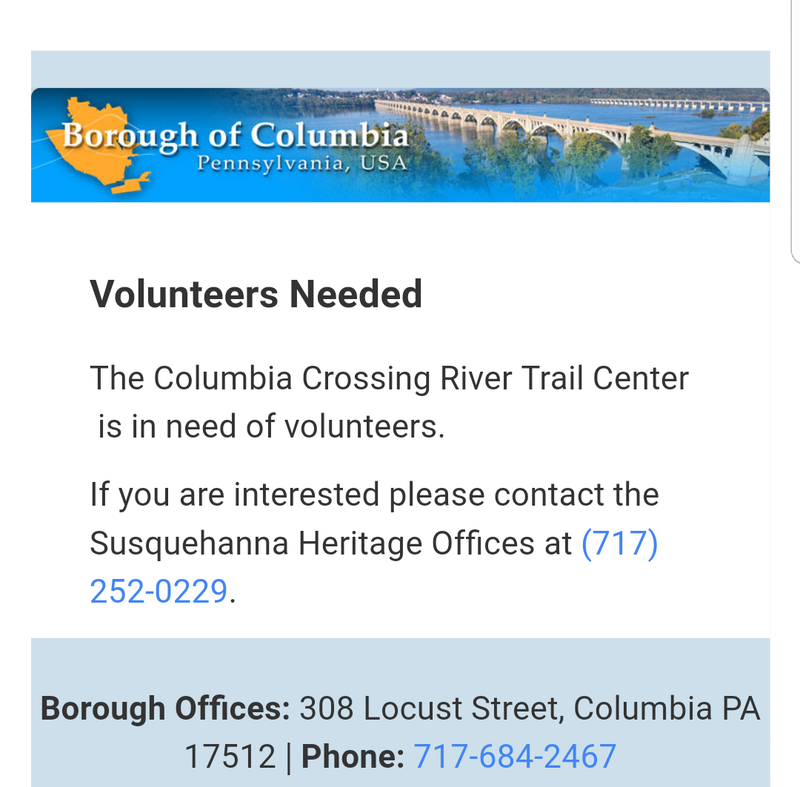 It seems there were more volunteers pre- Susquehanna Gateway. I am glad to see an industry at the old train station, but it would be nice if the old train station building part could be developed into a small railroad museum or a nice eatery. With the people using the trail, I believe it could be successful. 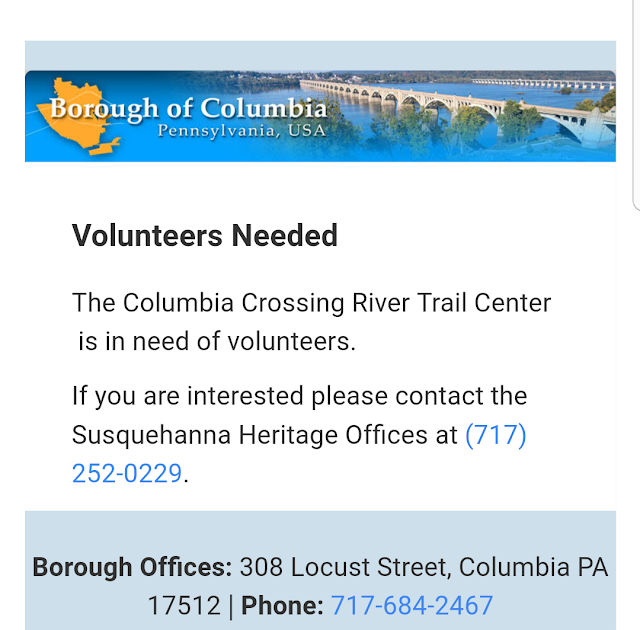 Columbia has a rich history in the early transportation of the nation and could use it to the town advantage in getting visitors.